YWCA Evanston/North Shore is launching this first-of-its-kind project, Equity in Evanston, to begin to explore how our communities are advancing —or failing to advance — equity. Equity means that all community members have access to the same opportunities to achieve their full potential, regardless of their background or identity. What do the data on our community and the stories of residents and leaders tell us about equity and opportunity right here in Evanston? Are there gaps and barriers preventing some of our neighbors and children from reaching their full potential? If so, what can we, as individuals and as a community, do about it? We provide this preliminary summary to expand the conversation around equity and to encourage us to work collaboratively to take action. We all have the right to achieve our full potential, but society isn’t set up to give everyone a fair shot at success. 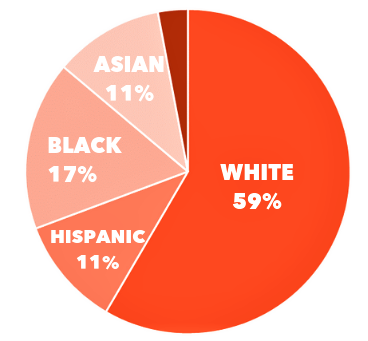 In the United States, racism and gender inequality have deep and far-reaching roots that impact not just how people interact, but how the very founding blocks of our society are shaped. Inequity is a system built to favor one group of people over another and the results are predictable – some forcibly fall behind while others thrive. Race and gender should not predict one’s destiny. If we want our communities to be places where everyone has an equal chance to succeed, we must level the playing field. That means confronting the past and committing to a more just future. By amplifying voices that have not been heard, prioritizing solutions to benefit those who have historically been excluded from opportunity, and by changing minds, hearts, and laws, we can finally right past injustices, be more open and inclusive, and set an example for the region and beyond. complex challenge with no single solution. SYSTEM: Ensuring that laws and policies include rather than exclude. The City of Evanston is committed to inclusion, diversity, and equity. It has made great strides to identify and mitigate barriers that disproportionately impact its residents with the goal of being a place where difference is both welcomed and celebrated, and inclusion is actively practiced – an example that others can learn from. EQUITY AND EMPOWERMENT COMMISSION: A nine-person elected body that meets monthly and is tasked with eradicating inequities in City services, programs, human resources, and decision-making. HUMAN RIGHTS ORDINANCE: Two decades ago, Evanston was the first municipality in Illinois to include transgender persons in its nondiscrimination policy. The City employs an LGBT liaison and in 2014 received a score of 100 from the Human Rights Campaign. WELCOMING CITY ORDINANCE: In 2016, the City reaffirmed its ordinance prohibiting City staff and police from inquiring about one’s immigration status. CLIMATE ACTION PLAN: The City is also recognized as a climate change leader. But there still remain barriers to Evanston achieving full equity in its community! 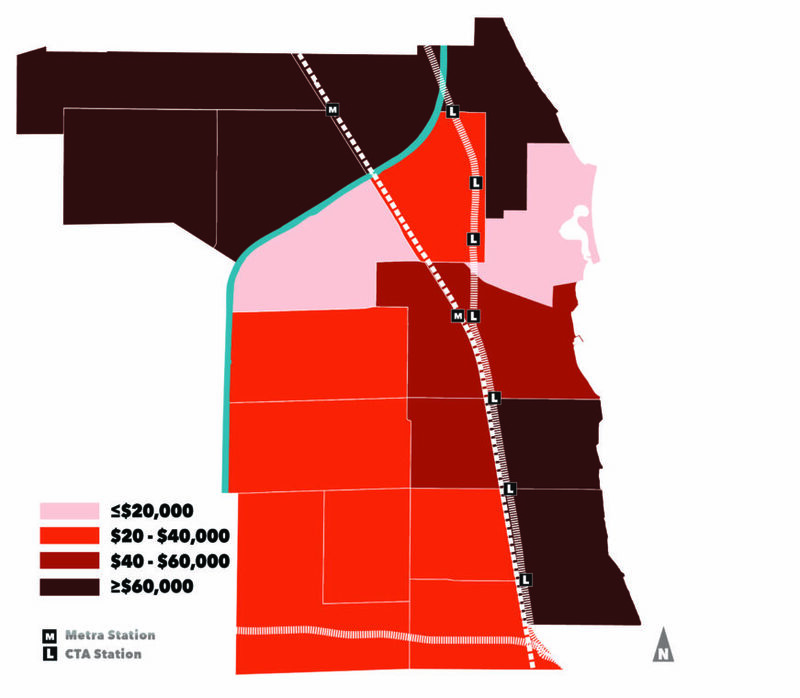 The rate of high-interest loans in a majority white (93%) census tract in Evanston. 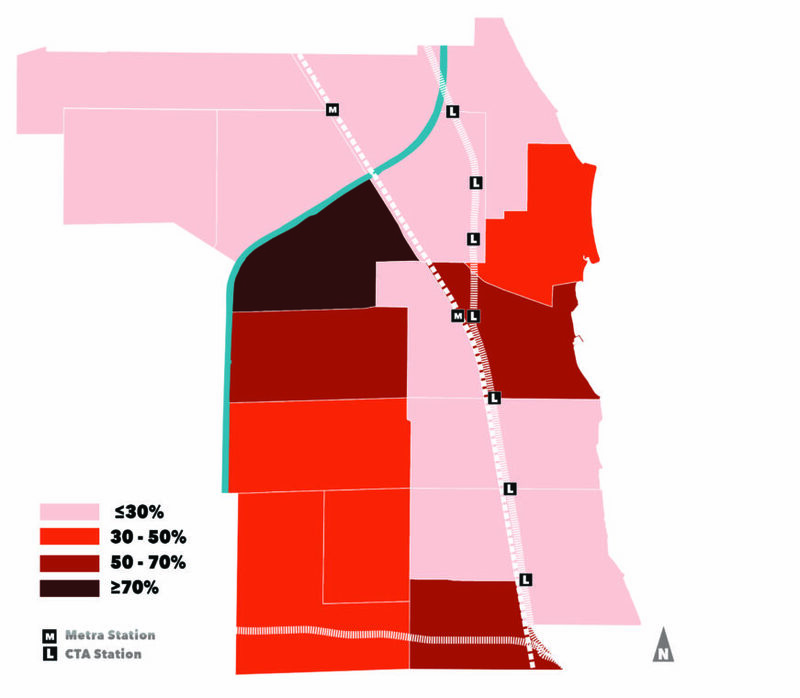 The rate of high-interest loans in a majority black (55%) census tract in Evanston. We still need to be very vocal, be loud, to convince the people who hold the power to make the structural changes accountable and to validate & elevate the experts who do know how to make those changes. Equity is the outcome of removing those barriers. Karen Courtright, Citizen Police Complaint Assessment Ctte. 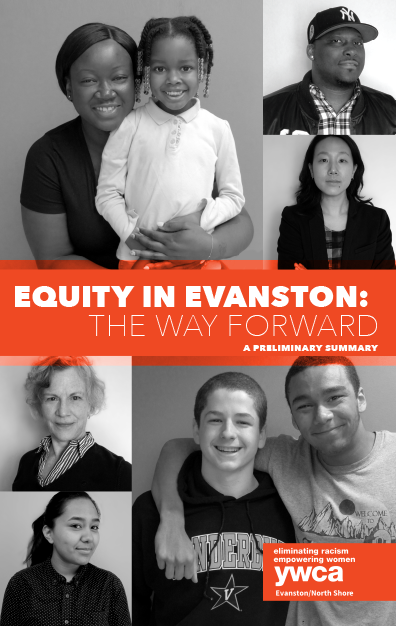 Review our recommendations to make Evanston more equitable. Review our recommended resources to deepen your understanding of equity. 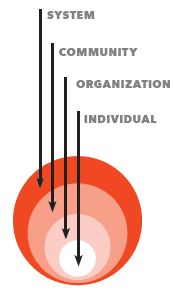 Review our Policy and Advocacy platform to learn about making systems-level change.